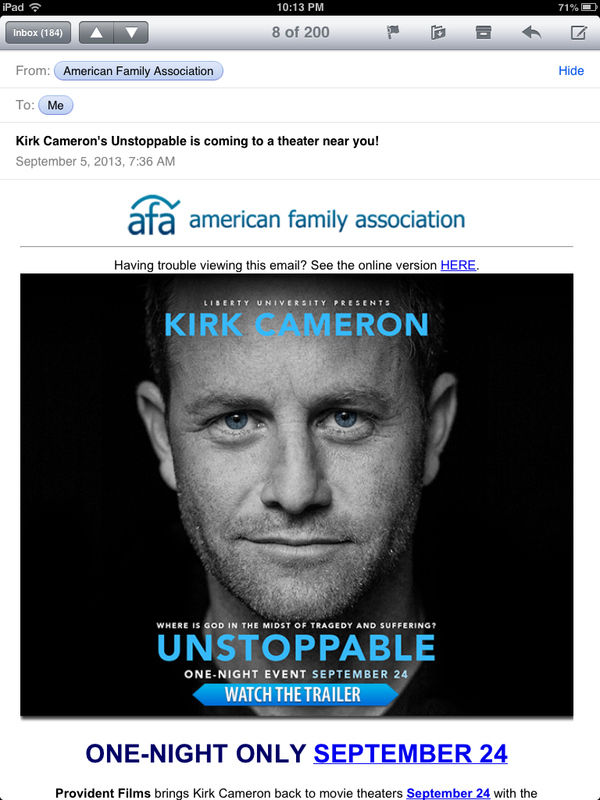 Which one of you signed me up for emails from the American Family Association? Or did Kirk hack my email (again)? Give it up, KC! I'm never coming back to you. Never! !